Architectural acoustics, to control sound pollution inside buildings but also to optimise construction and layouts to adjust acoustics to the uses (Tertiary, Conference rooms, Theatres, Operas…). Two axes of strong competences: development of tools to simulate the acoustic phenomena; innovation and custom design through the control of building materials. Tisseyre + Associés have been offering you since 1960 their expertise through many references, in a constantly improved quality approach. They continue to invest in research and development: design, development and validation of calculation methods and models in order to visualise the acoustic phenomena. 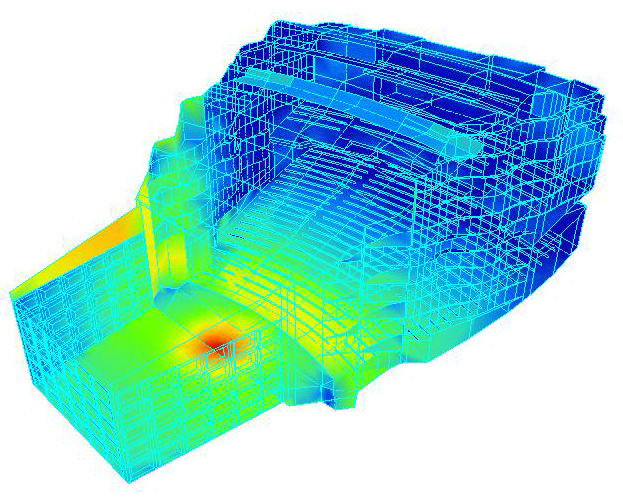 Auditorium – Opera: 4D model with prediction of the acoustic envelopment. Custom design of materials: forms, composition and structures. Town planning: Mapping of the acoustic atmosphere due to human activities. Tisseyre + Associés propose an international consultancy service based on its references in large projects. 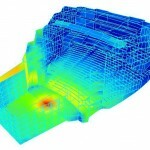 Assistance to engineering and design departments through an online acoustical calculation centre.